FFrom the rolling hills and scattered villages of Qunu in the Eastern Cape, to reverent reflections in the prison cells of Robben Island, to the sacred sidewalk on Vilakazi Street in Soweto – follow in the footsteps to freedom of South Africa’s most iconic hero – Nelson Rolihlahla Mandela. Nelson Mandela touched the world with his inspirational story and now, in this, his centenary year, you can experience his legacy at 100 destinations across South Africa. Download the Madiba’s Journey app, walk in the footsteps of greatness and find the Nelson Mandela in you. Paul Kruger Street Synagogue, the first synagogue to be constructed in Pretoria, was expropriated by the government in 1952 and converted into a special Supreme Court. Emirates Airline Park played a significant role in South African sporting history, after hosting the 1995 Rugby World Cup final. Freedom Park in Pretoria is a celebration of humanity and freedom. The Nelson Mandela Centre of Memory is committed to preserving the work of the Nelson Mandela Foundation. The City Hall steps in Johannesburg have seen many protest meetings and people including Nelson Mandela speaking from them. 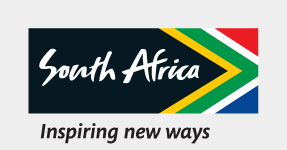 Run for unity at the Mandela Day Marathon and enjoy the beautiful KZN Midlands scenery.